It's July! It's summer! It's the season of BBQ and no cook recipes! 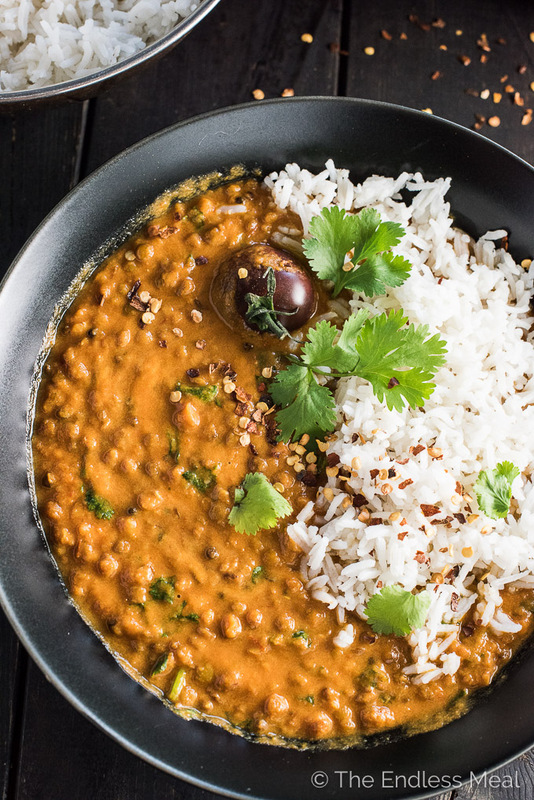 And here I am, sharing a coconut lentil curry recipe with you. Say whaaaaa??!! You guys, this is what badass curry dreams are made of. For reals. 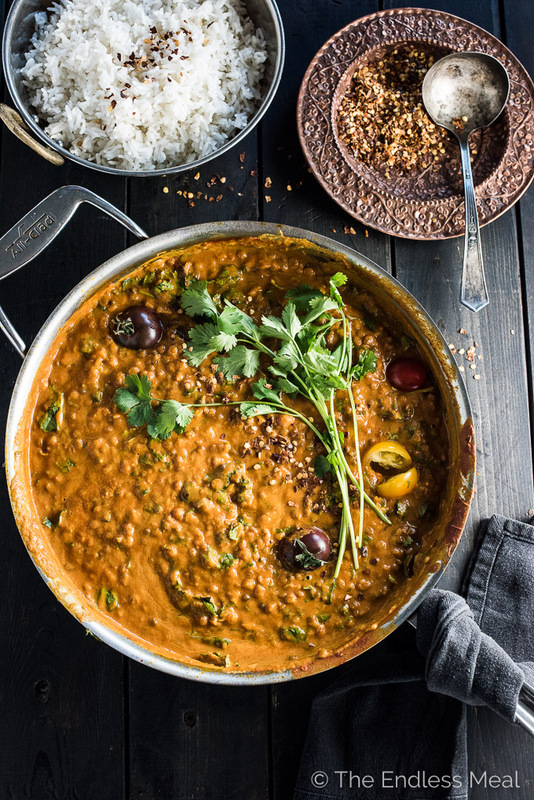 I'm talking one pot and less than an hour till you're in coconut lentil curry HEAVEN! I don't care how hot it is outside, it's always a good time for a bowl of hot curry. I mean, it's stinkin' hot in India and peeps eat curry there all the time. They must be onto something. When I was doing the whole right of passage, backpacking around Asia thing in my early 20s, locals would always tell me that eating hot food on a hot day would cool you down. Makes no sense to me at all, but if you put a bowl of hot curry in front of me and it's a bazillion degrees outside, I'll still eat it. I mean really, how could you not? 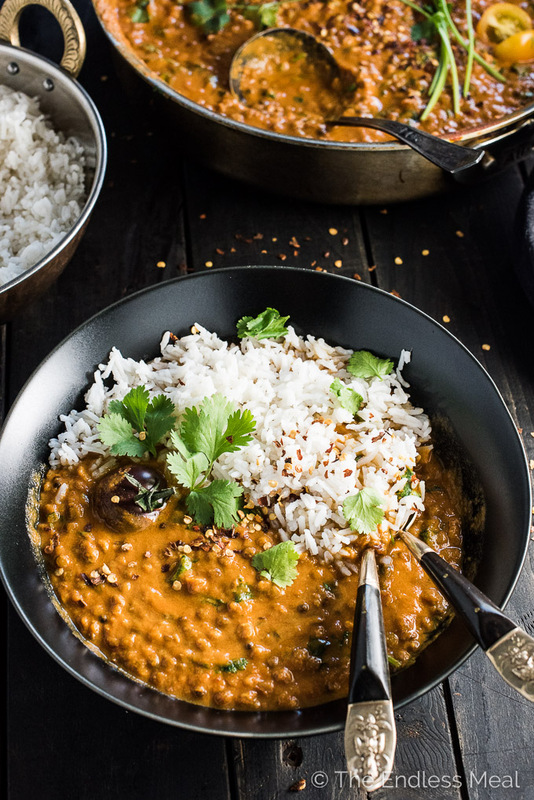 This coconut lentil curry recipe is ridiculously simple to make. Five bucks says you're going to look at the recipe and think, “No way THIS recipe could be one of the BEST curry recipes.” But it is. For reals. It's so simple to make that I made you a video so you can see just how easy it will be for you to sit down in front of a big bowl of curry. Subscribe to see more of my videos! ♡ Coriander seeds replace ground coriander as I love the little pop of crunch they give. ♡ Cilantro gets piled on high. Since I originally posted this recipe, I've now made it around 324,000 times. That might be a little exaggeration, but I have made it many times. 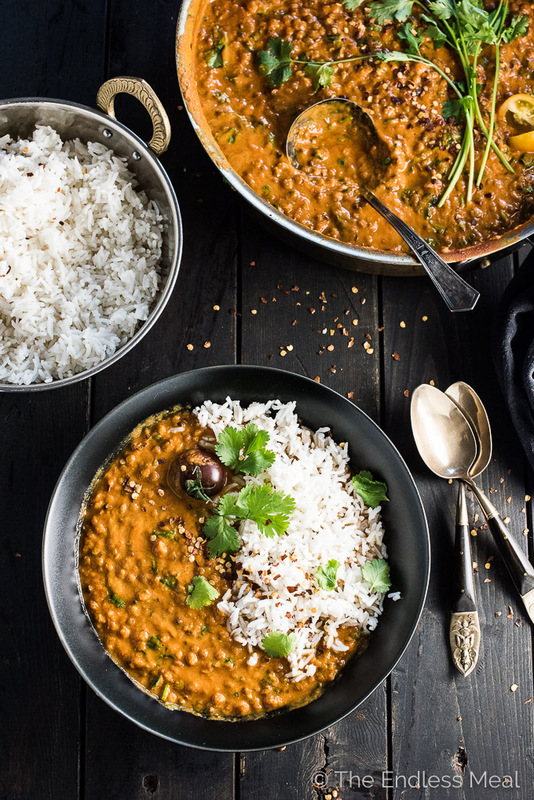 My daughter is a huge fan of this lentil curry, so I usually make a double batch and then freeze some in smaller portions so I have some quick and easy food for her on hand. Making a big batch also means that we get lunches for days after. Curry is kind of like chili, it's even better the next day. Honestly, every time I make this I get a text from my handsome man the next day telling me how good his lunch is. Win! 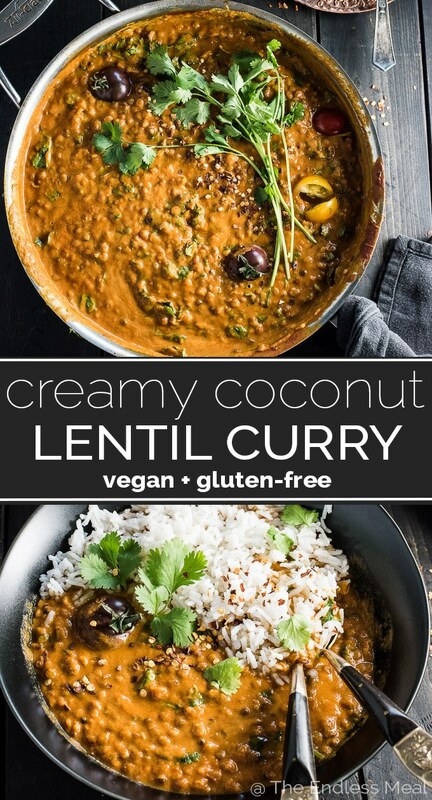 Watch the Creamy Coconut Lentil Curry Video! What would the measurements be if using ground coriander and ground cumin? The whole house smells like haven! I cant wait for my husband to get home so we can eat this lovely dish! I brown one large onion before adding the coriander and cumin seeds for a little extra bulk and taste, substitute cream for the coconut milk and use ghee instead of coconut oil. Three fresh chopped bird’s eye chillies give it the heat that I like but you can use this recipe as a base and then add almost anything and it’s still very tasty. Not vegan (sorry), but very very tasty. Used pink lentils instead of brown. Delish! Thank you for the great recipe! AMAZING!!!!! This dish was off the hook!! I made vegan mashed potatoes instead of rice. Truly one of my favorite recipes I’ve ever made! Thank you for sharing! Thank you so much for the comment! You made my day! Can I use coriander cumin powder instead of seeds? My family loved this, even my daughter who says she doesn’t like Indian dishes! I added purple kale and shredded carrots to the curry and served on top of coconut brown rice with a side of roast carrots and sweet potatoes. This is making my switch to plant based foods easier and really enjoyable, thank you!!! That’s wonderful! So happy you enjoyed the recipe! Hi. The recipe looks delicious! I can’t wait to try it. I was wondering if using homemade veggie broth instead of water would work? Or do you think it would change the flavor? I’ve been making this for almost 2 years now and can’t get enough of it. When I first discovered this recipe I was making it at least once a week. It’s just that delicious. I tend to add mushrooms and spinach as well as the tomatoes because I love the combination of those flavours, thank you so much . That’s so great to hear! Really happy that you enjoy the recipe! Making this for the third time tonight since finding the recipe. We really love this one, and can’t get enough of it. Thanks for sharing! That’s wonderful! So happy you like it! Could I use garam masala spice instead of the individual coriander and cumin spices? It would change it a bit but this recipe is really flexible so it will still taste great. You mentioned mung beans – if I wanted to use whole mung beans, do I need to presoak and how is the cooking time adjusted? This recipe is delicious, I have made it a lot of times, and even one of our friends who more or less always eats meat, loved it and asked for the recipe, I’m going to make it again Tuesday next week, for my coworkers, hope they like it too. 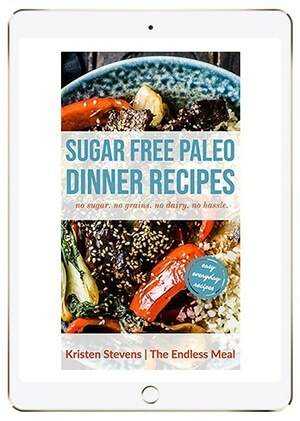 When a big time meat eater asks for a vegan recipe you know it’s a win! Love it!! I have been on a vegan Indian food kick and THIS one is my new favorite! I usually don’t go back for seconds (I like to have left overs), but I couldn’t stop myself from this one. Will be making this one again and again. Thanks!! I’m not sure if my first comment/question went through, so I apologize if this is a repeat. This recipe looks yummy! I love curry. Quick question: if I were to use ground spices instead of whole seeds or pods, what would the measurements be? Thanks for the info :). I’ll have to try this soon. I wound up adding a can of tomato puree & some chicken stock (because I didn’t read the recipe far enough to see I needed to add water), and added 1/2 c of lentils to balance out. I like spicy food, so I added some Berbere, Fenugreek, and Garam Masala. This is an AWESOME recipe, and would still be great without my last minute additions! I’m so happy you liked it! One of my favorite things about this recipe is how flexible it is. It’s nice to be able to use it as a base and add to it! This looks so yummy! I love curry 🙂 Quick question: if I were to use ground cumin and coriander instead of the seeds, how much would I need? Truly enjoyed this recipe. I want to freeze a batch. Do you know if it freezes well? I suspect I have to opt out of the cherry tomatoes before freezing. Please let me know what you recommend. Easy and delicious and nutritious! 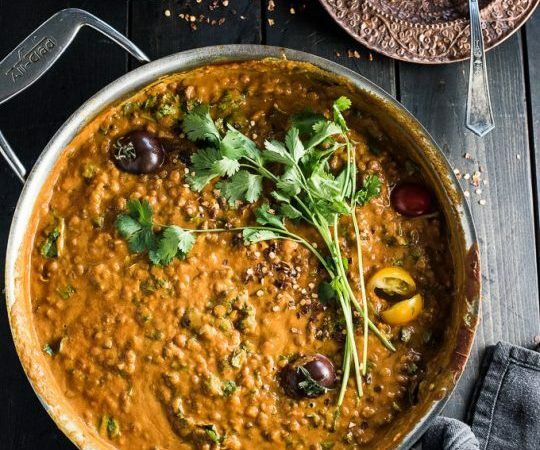 Can I used canned lentils instead of dry for a quicker cooking time? When would I add them? I suspect that canned lentils will work, but you’ll need to reduce the water. I would add them along with the tomatoes and only add water if it looks like it should be saucier. With the cherry tomatoes? Or tinned? Trying this tonight. 🙂 Any idea of the fiber content? Thanks!! We’ve made this recipe at least 50 times – it’s our go-to for big meals. Thank you! That is seriously so great to hear! Hooray!! How much fresh tomatoes should I use if I don’t want to use canned tomatoes? So amazing, this has become my favorite recipe. Hi! Just checking that the calorie count (293) is without the rice? Yes! It is for the lentils only. I’ve had readers tell me they’ve made it successfully in an Instant Pot. I would find a IP lentil recipe and use the time suggested in that recipe for this one. I just made this recipe for a charity soup lunch at my office and it was a huge hit! I doubled the recipe and ended up with about 9 quarts…my coworkers ate every last bite of it. Not only is it flavorful and aromatic, but it was super easy to make. I used ground cumin and coriander seeds because I was apprehensive about the texture of the whole seeds, but when I make this again for my family at home (which I definitely will be!) I will give the seeds a shot. 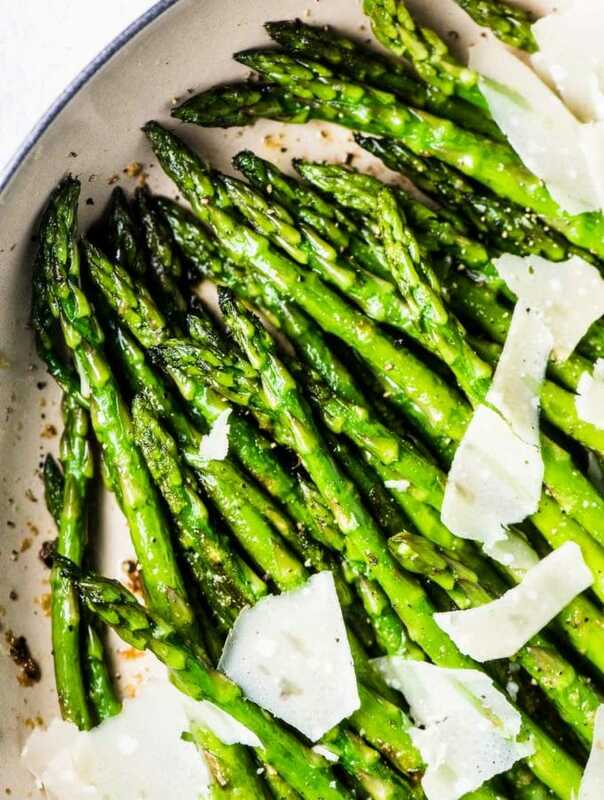 Thanks for posting this delicious recipe! This Recipe was delicious and very easy my 22 month old loved the lentils. My family loved this recipe! I used green lentils, and it’s delicious…. my five tear-old loved it too! So good on basmati rice with a side of naan…. yummmm. Thank you! Such a win when the kids love dinner! Hooray! Hi! Just made this and it came out great! I was wondering how much is in a serving though? Thank you! What rice would go well and be healthy? Brown rice is a great option! Amazing recipe! I’m a vegetarian and an engineering student. I make this on sundays and just like that my lunches are made for the week! Great filling and nutrient dense meal prep for students and people who don’t have much time to cook during the week. I just heat it up and pop it on a bed of spinach and add some crumbled feta on top and i’m full 🙂 thanks i love your recipes!!! That makes me so happy to hear! And good call on the feta. That sounds amazing! Really great and easy to make. I added onion chopped carrots and threw in some bok Choi right at the end. Thanks for sharing the recipe. Great call on the bok choi! Loved the recipe except for the coriander seeds. They don’t soften, which I expected, and crunching into one was a little too overpowering and yet we lOVE all spices! Will use powdered coriander next time because it’s a super flavoursome outcome. Looking for more of your recipes. I have just finished making this, It is so tasty. Great dish! Loved this! My meat-eating hubby was reluctant to try it but went back for seconds! 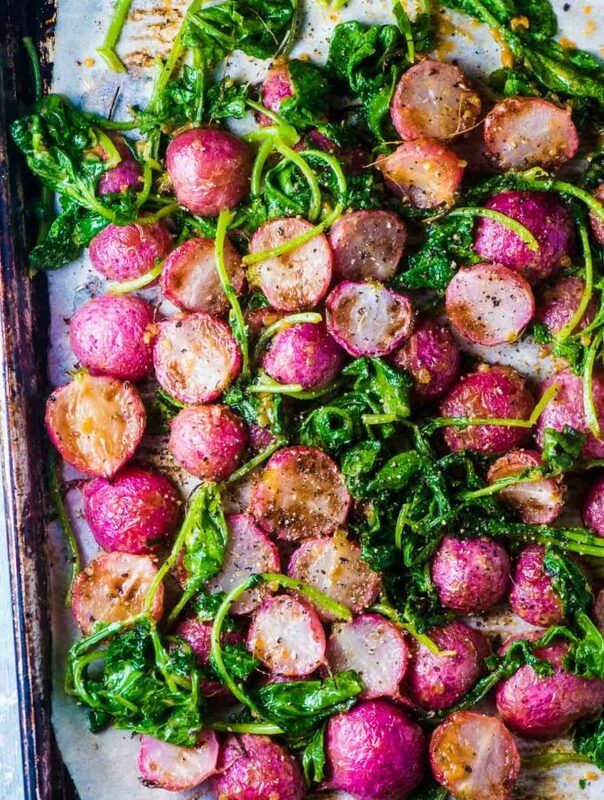 I added chopped kale & spinach I needed to use up – easy way to get some more greens. And I used an extra half cup of coconut milk as I think I added too much cayenne for my taste. That is such a great compliment! Hoot hoot!! What would I do differently if I have lentils already cooked? This recipe was delicious!! My 4 year old gobbled it up! I will definitely be making this again, thank you! It’s the best when the kids gobble up dinner isn’t it?!! This turned out pretty well! I threw in a whole head of cauliflower that I roasted with turmeric, cumin, and paprika for a little textural variety. I also finished the dish with a teaspoon of garam masala near the end, continuing to simmer for another minute. I made it with split red lentils and found that the finished dish had too much liquid for my liking (even after it cooled and thickened). If using split lentils, I’d recommend maybe cutting the water by at least a cup, which would still provide plenty of liquid for the lentils to soften in. The coriander seeds REALLY come through in the dish; it’s a good thing I love both the spice and herb! Good call on the cauliflower! Will this work green lentils? Brilliant recipe. I doubled it so our household has leftovers for the next day. I also added two onions and some mushrooms to bulk it out. Definitely going into our permanent rotation! Do the step change if you use powdered cumin/coriander? Hi Kristen! Thank you for posting this recipe. I am very excited to make it tonight. Quick question- are we supposed to cook the lentils apart from the crushed tomatoes and garlic/coriander/coconut milk, and then combine all in step 3? I’m a little confused by the steps listed. Sounds amazing to make! How long does this keep for lunches afterwards? I’m sorry to hear you found it too salty. I wonder if your can of tomatoes was really salty? If anything, I will normally add a little extra salt at the end of cooking. Loved this recipe! I’ve made it twice. Most recently I didn’t have crushed tomatoes so I used petite diced can. Still great! My husband doesn’t like cilantro, so I omitted it but I bet that would make it even better. Thanks for a great quick meal! I’m so happy to hear you like it! You can always sprinkle the cilantro on top of yours after you plate it. That way you don’t have to miss out! This was a great find! Thank you for posting this. I made it last night, tweaked it a little bit to add some vegetables I needed to use from my garden. Was quick, easy, and delicious! Good call on the extra veggies! Thank you! This recipe is amazing. I’ve made it about four times. I’m trying to slowly get my husband used to not having meat every night. He now requests this recipe. We like it spicy so I use two teaspoons of cayenne. I’m so happy to hear that it’s converting your husband! Hooray! !